MUSE pays tribute to the daughters of Zeus, king of the gods and Mnemosyne, goddess of memory; the original muses that embodied a different art each and inspired creation. In emulation of muses as sources of an artist’s inspiration, the ultimate unparalleled experiences are brought to life. MUSE is a state of mind where minute details interweaves with life's perfect moments or time bubbles of pure happiness. A celebration of senses, tastes and textures. Evoking pleasure to the eye. MUSE leaves nothing to chance to make each second with us a true tribute to art. Dedicated to legendary muses, the luxuriously appointed suites are individual in décor and ambience. Beds are lined with 800-threadcount Egyptian silk and cotton-blended sheets while the furniture are all uniquely custom-made by Henryot, one of France's oldest manufacturers who used to create furniture for the royal court at Versailles. 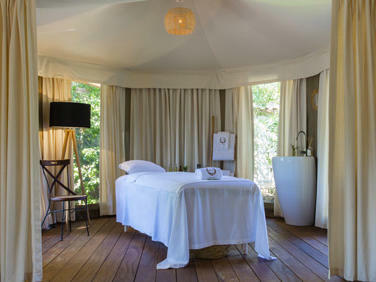 All suites are designed in soft earthy tones with cool stone floors and marmorino wall finishes, with selected suites featuring a private garden or wooden terrace, plunge pool and a personal spa services room. The exquisite settings of MUSE restaurant simply named 'M', brings to life the flavours from both the earth and the sea. 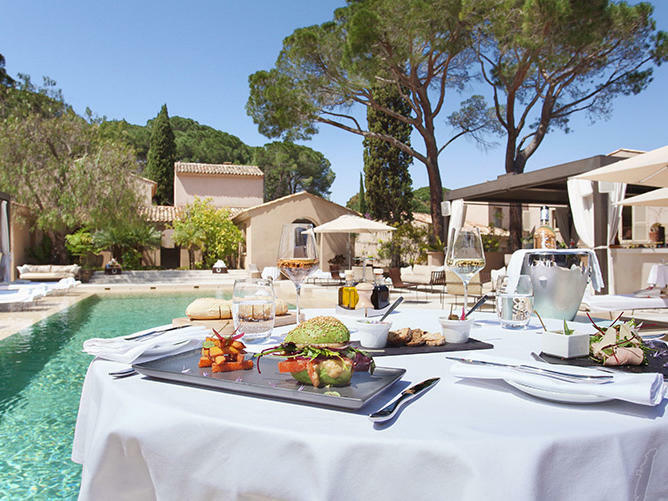 The sun-blessed Mediterranean hills fragrant with wild herbs and vibrant local produce that meets the Atlantic coastline rich with sparkling-fresh seafood evoke the senses in anticipation of the dining experiences to be discovered.